Our Baby Wagoneer has actually been very good and has proved to be a very reliable car but this time something actually broke, but it broke when I arrived home. Still it was a wet and steamy mess when the plastic part of the heater valve broke and dumped a lot of water over the engine. In the picture above the arrow convenietnly points on the broken connection. 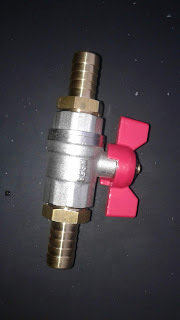 I considered buying a new valve, but I wasn't convinced the plastic new part would be of good enough quality to last, so I opted for another kind of valve as used with domestic heaters. Of course I lost the option of the vacuum operated system, but it is a very sturdy piece of iron and brass, so I expect this to last a while at least. 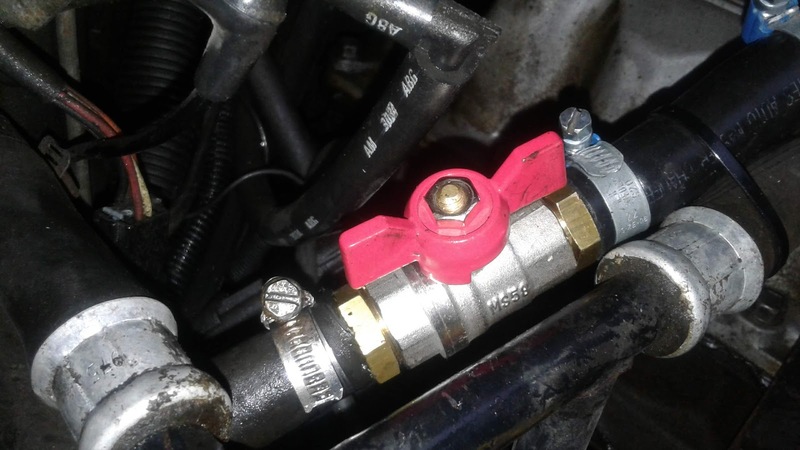 Here it is fitted in place of the plastic valve. 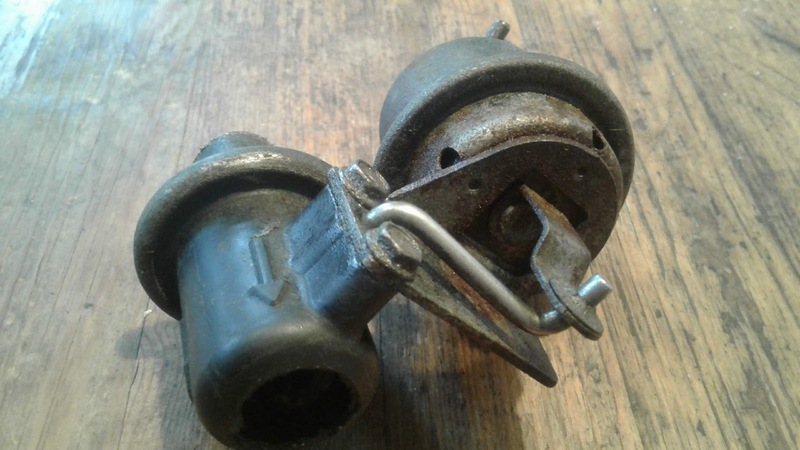 I found that probably I could have just used a straight piece of hose in stead as the heater controls inside the car seem to deliver hot or cold air as before. even with this valve completely open. Maybe in a hot summer I'll want to close it. Oh well, at least it looks suitably industrial.